Hi! We're Mallory and Sean Dillon, the founders and designers at Squid & Whale. With 25 years of background in art, architecture, theater, and graphic design between us, we're ready and equipped to take on a wide variety of projects and styles. We believe in delivering design that is smart, functional and world-beautifying. Life is too short to be surrounded by bad design; we're here to help. We work out of Minneapolis, Minnesota, where we live with our cat Peripety, and dog Fletcher. Fletcher handles our PR, while Peripety focuses her time on inspections and quality control. Occasionally she also takes over our social media accounts (keep an eye out for updates from her). When we're not designing we like to spend our time all crammed on the couch watching movies, fixing our house, and walking in the park. We're also the designers behind Fierce Mally stationery products available here. 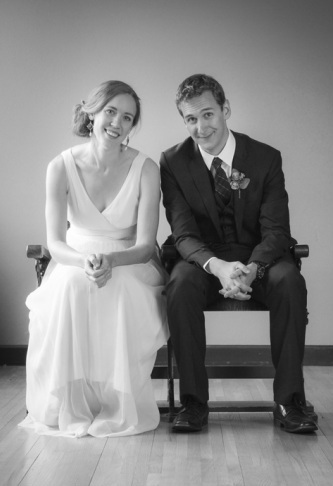 "Sean and Mallory are exceptionally talented -- their creative intuition brings designs to life. They create captivating and professional art while understanding client needs from corporate branding to creative designs. Sean and Mallory are smart, quick and easy to work with -- there is no team we would rather support!" "Working with Sean & Mallory was great. They turned my vague ideas into an outstanding logo that continues to receive compliments from potential clients. I highly recommend Squid & Whale to my colleagues and friends." ©2013 Squid & Whale Design. All rights reserved.